What is the different between red ginseng and plain ginseng? Ginseng makes reference to the ones cultivated in land. The unprocessed ones and dried ones an be called simply dried ginseng, Red ginseng is processed through steam and drying process. The reason why the ginseng turns into a red ginseng are due to the specific medical composition that reacts throughout the process and it is later, stored for a long time. Ginsenoside is the saponin found in ginseng and red ginseng. They deliver the main medicinal benefits of ginseng in overall. With the Red ginseng you are able enjoy heightened effects of the saponin since it is contained in large amounts. The exact content amount of ginsenoside are found on the nutrition information label on the products’ packaging. What kind of red ginseng product would I purchase? There are a variety of products you can choose from, liquid, powder, solid form, jelly, candy or even capsules. Chose the one of your preference but maintain the recommended dosage for intake. However, please ensure to go through the following three points before purchasing. First, check the content of ginsenoside: The more of this saponin, the better the quality of the red ginseng. And the higher the content of ginsenoside, the more health benefits the product will offer. 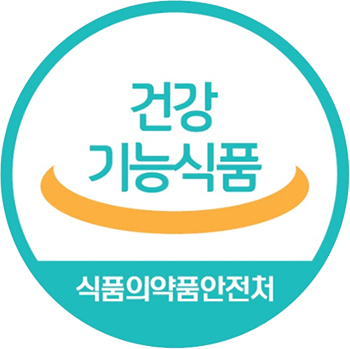 Second, health functional food product seal: Just by having the seal approved by the food and drug administration, certifies and verifies the quality of the product. It is more reliable and you can consume it safely. 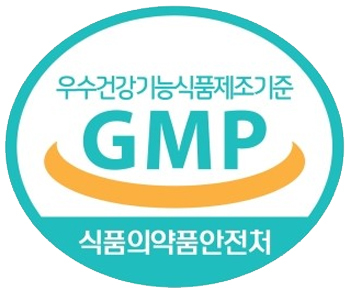 Third, Look for the GMP certified seal: The GMP refers to the standards of manufacturing the functional food products. With the seal it verifies that the produce comes from a plant where strict management QC were maintained, from raw materials to the shipping process, it other words it verifies its authenticity. You can easily spot the “solid content 60%” on the nutrition facts label. This solids make reference to solids where all moisture has been removed. For example, a 60% solid means it contains 40% moisture and the remaining 60% is composed solely of solids. It is important that you can differentiate the strictly health functional products from the regular ones especially when out shopping for your red ginseng. The Red ginseng products have been approved through standards of certifications, for ginsenoside content, recognized authenticity by the Korea food and drug administration. 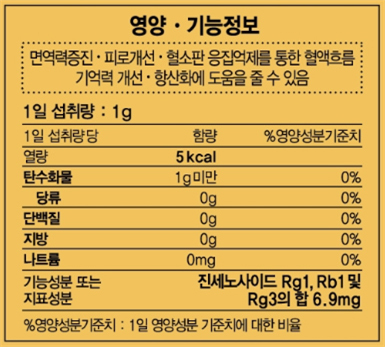 When purchasing a red ginseng product, look for the health functional product seal. What precautions should I take when consuming red ginseng? Those with renal diseases should avoid it, or when taking diabetes medication, blood anticoagulants. To be sure, contact your doctor before. I’d like to know about the benefits and effects of ginsenoside components. Is it safe for children to consume? We recommend for chidlren to be 3 years and older to consume the product. For children, the dosage is 1/3 of that of an adult. When should I consume the red ginseng product? The myths say is better to have it on an empty stomach but the truth is, it doesn’t matter. You can consume it whenever you want. If you are taking it only once a day, then before having breakfast, if taking it twice a day, then once in the morning before breakfast and another one before dinner.